THE DEMANDING GENEALOGIST: Whoever started the idea that a genealogist could be demanding? Whoever started the idea that a genealogist could be demanding? 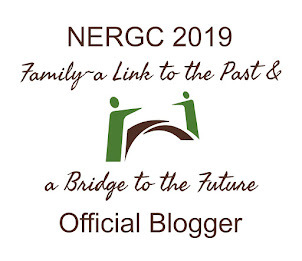 The American Genealogist is an independent journal of genealogy, not connected with any society or organization. Its editorial staff is a voluntary association of genealogists, professional and amateur, who are giving their time and services to aid in producing “a quarterly of quality” for the benefit of all who are interested in the subject. This paragraph continues with a call-to-arms that was characterized as “blunt” in the 75th edition of TAG. The aim is to elevate the standards of genealogical scholarship, while at the same time providing readable and helpful articles for those who are seeking knowledge. We will not print junk or bunk, nor warmed-over data filched from the pages of earlier investigators. We demand documentation, and maintain that the only primary sources of knowledge are official records and contemporary writings. We will ruthlessly expose blunders and long-accepted errors, and will correct our own mistakes if we are misguided in our statements. That sentiment is 79 years old, but still can draw gasps. In celebration of NaNoBloMo, I began thirty days of definitions and thoughts on the subject of scholarly genealogy and its beginnings and meaning. NaNoBloMo is an undertaking to blog daily through the month of November. 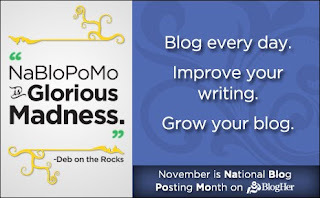 For more information, see http://www.blogher.com/blogher-topics/blogging-social-media/nablopomo. National Genealogical Society, “NGS Genealogy Hall of Fame Members,” National Genealogical Society; http://www.ngsgenealogy.org/cs/past_halloffame_winners : viewed 1 Nov 2011. The photo of Jacobus is from this page as well. Donald Lines Jacobus, “Preface,” The American Genealogist 13 9 (1932-1933): xiv; www.americanancestors.org : viewed 1 Nov 2011. Note that one achieves the page of roman numerals by searching for page 1, then clicking for the “previous” page twice. David L. Greene, "Donald Lines Jacobus, Scholarly Genealogy, and The American Genealogist," The American Genealogist 72 (July/October 1997): 166, which also reproduces this partial paragraph. Jacobus, “Preface,” TAG 13 (1932-1933): xiv. And that is why I continue to subscribe to TAG and eagerly await each new issue. No bunk. No junk. It continues in the Jacobus tradition. Thanks for reminding us why we need to aspire to Jacobus-like standards of excellence.